Education Qualification – Diploma in ITI or its equivalent after 10+2. 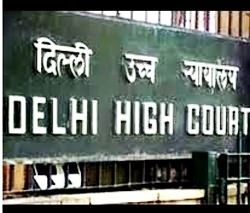 All the candidates who applied for the post of System Assistant at Delhi High Court will undergo through the personal Interview by Delhi High Court authority. All the invited applications will be shortlisted and then they offer for Personal Interview at Delhi High Court. No Transportation or other expenses will be given to the candidates. Date of Personal Interview is not declared so they mail to the shortlisted candidate with full details of the Interview Venue and others. Interested and eligible candidates download the application form from the official website of Delhi High Court and then mail it from your personal email id to aojcomp.sty.dhc@nic.in. Just download the application form and fill it in the prescribed format as mentioned in the advertisement with all the proper details about you. Finish and Save it then mail to aojcomp.sty.dhc@nic.in from your personal mail id.